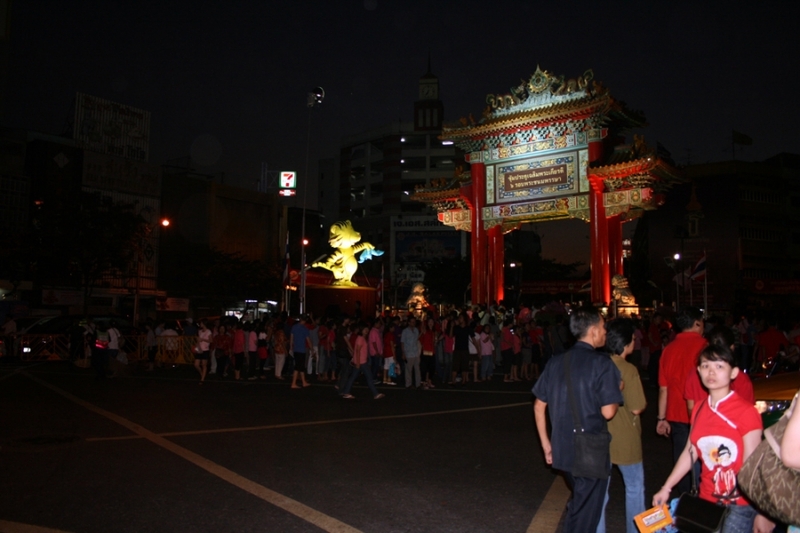 The archway in Bangkok Chinatown was constructed by the Thai-Chinese to celebrate the highly respected Thai King Bhumibol’s 72th birthday and was officially unveiled on 5 December 1999. For this reason, the archway is also known as the “King’s Birthday Celebration Arch”. The archway is located in Bangkok Chinatown’s Odien circle area. 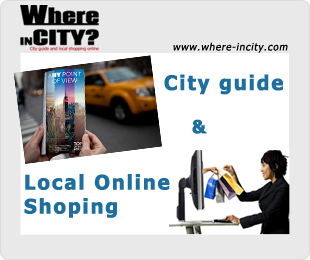 This area is also known to the local Chinese as the “dragon head” of the Chinatown and is therefore an extremely auspicious place for an archway and for the purpose of celebrating a King’s birthday. Below the top roof of the archway are four Chinese characters “圣寿无疆” the Chinese equivalent to “Long live the King”. The character “Sheng” 圣, commonly used in reference to emperors in Chinese contexts was used as a sign of respect to the Thai King. The four characters were written by the highly respected Thai princess HRH Princess Maha Chakri Sirindhorn. The reverse side of the archway is characters in Thai language. The archway stands on a round island decorated with flower beds and serves as a roundabout for the traffic. The archway is a single gated one with four red pillars supporting the roof structure. The central panel carries the “Long Live the King” calligraphy of the princess and is the central focus of the archway. There are 2 sections of the roof; the central roof above the calligraphy decorated with a pair of dragons and two slightly lower ones on its side. The structures of archway are decorated with auspicious Chinese symbols such as golden dragons chasing the flaming pearl, auspicious clouds and mythical animals. Near the red pillars are a pair of white marble lions presented by the Cultural Department of the People's Republic of China and surrounding the archway are a series of inscriptions describing the history of Chinese in Thailand. Floodlights at the base of the archway illuminate it at night creating an impressive sight for the area. 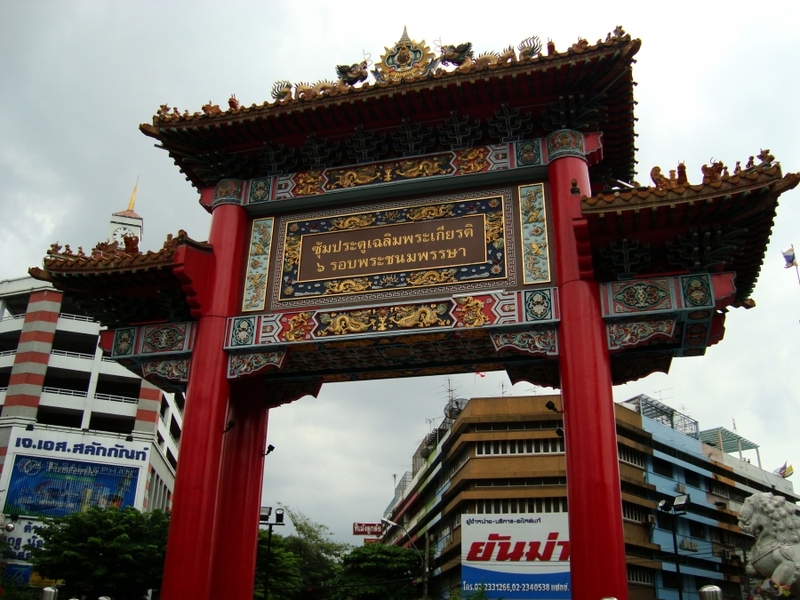 Apart from its status as a major landmark, Bangkok Chinatown’s archway is extremely unique among the world of archways. It is dedicated to the ruling monarch of the country, has its own island in the middle of the road and probably the only one in the world that has the calligraphy of a royalty and in Chinese characters!